If you’re making plans for the weekend, you’ll want to keep it indoors because it’s going to be a wet one. 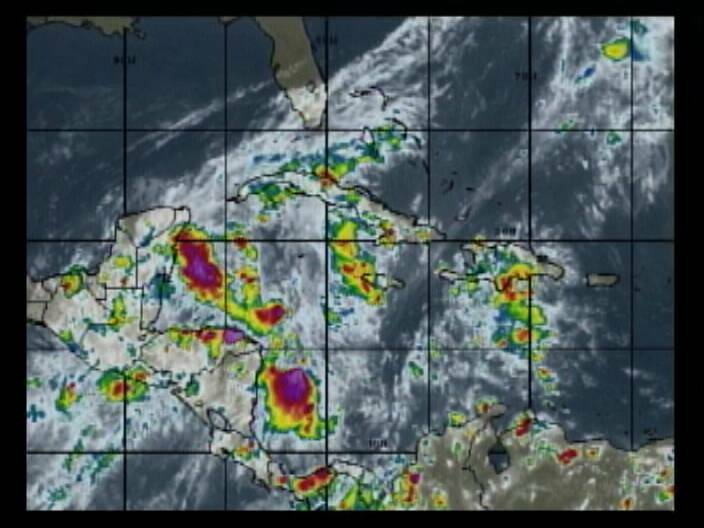 Since Thursday there have been heavy rains in central and northern Belize caused by a lingering weather system that has potential to develop into a tropical depression. The flood prone areas in southern Belize are being spared the bulk of the rains this time around, but according to NEMO the rivers are slowly rising. 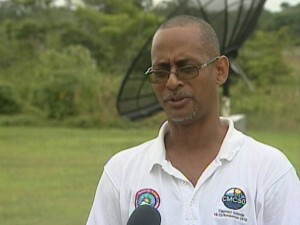 Kendal and Mullins Rivers are each one foot above normal, while North Stann Creek is at normal level but is rising. Meanwhile, in the Cayo District, the Succotz and Baking Pot ferries are closed to vehicular traffic. The river at Arenal Village is four feet above normal level, Calla Creek is up three feet, in Bullet Tree the river is up two and a half feet while the Macal River has risen six inches above normal. And the downpour continues throughout the next few days until the systems starts moving away. Chief Met Officer, Dennis Gonguez told us what to expect in the next few days. 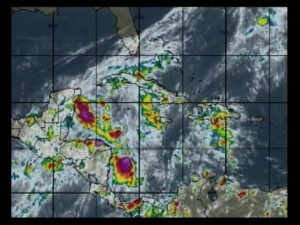 Gonguez says that at this time of year, it is common for cold fronts forming over Mexico to cause weather systems to linger in this area of Caribbean and that translates to plenty rain for Belize. So………..WHAT’S HAPPENING WITH THE KENDAL BRIDGE????????????? Who gave GMO go ahead? Who is planting?